I don’t know about your kids, but my kids love pancakes. 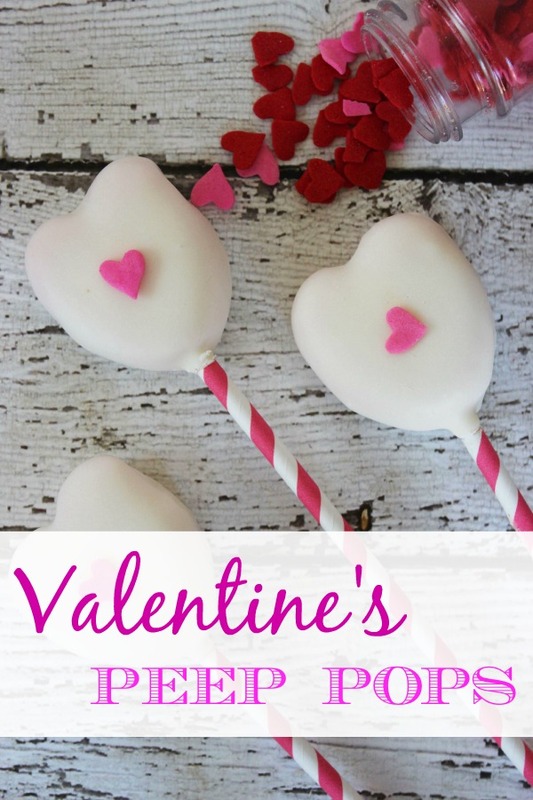 And what better way to start your Valentine’s Day off right than with this adorably yummy Valentine’s Day treat? 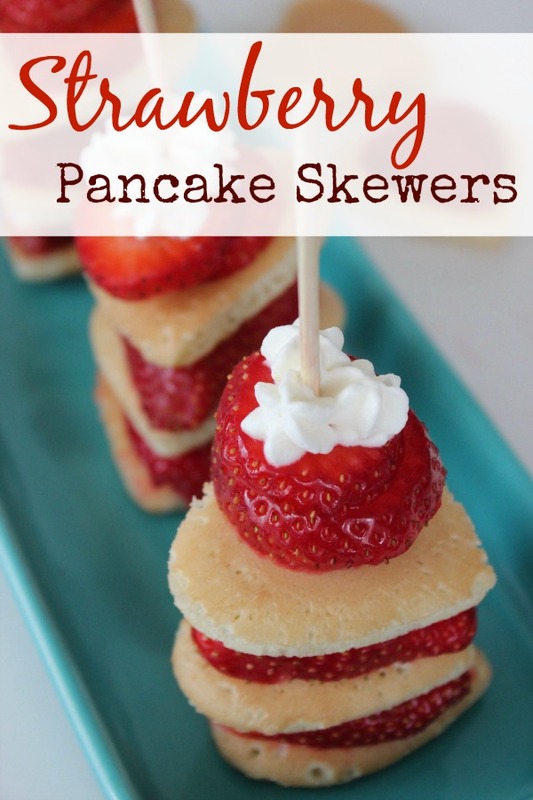 Strawberry Pancake Skewers are a staple Valentine’s Day food in our house, and they will be in your house too once you try them! Don’t be scared by the idea of making your pancakes from scratch, either. I’ve been making my own pancakes from scratch for a couple years now, after I found out how easy they are to make! If you’re running low on time, you can always use a box mix for the pancakes, skip cutting the pancakes into hearts, or use Redi-Whip instead of beating your own, but one day a year, on Valentine’s Day, when I really want to go above and beyond, I never seem to mind the work too much. And the scrumptious homemade pancake taste these Strawberry Pancake Skewers offer is totally worth the small amount of work they require. Slice into heart shaped slices and set aside. Whisk together flour, sugar, baking powder and salt. In a separate bowl whisk together milk, egg and oil. Add wet ingredient to dry and mix until smooth. Heat a lightly oiled griddle or pan over medium high heat. Pour ¼ cup batter onto the griddle for each pancake. Use a heart shaped cookie cutter to cut out shapes. Whip cream and sugar until stiff peaks form. 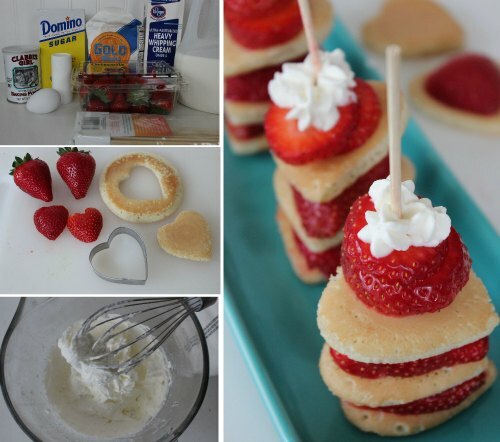 Alternate pancake slices and strawberry slices and top with additional stawberries and secure with a skewer. More Valentine’s Day Tips and Money Saving Ideas here! I like this idea and recipe. It’s a quick breakfast for a busy family that likes to eat on the run.